Five office buildings in Gateshead have been sold on behalf of Watermark Investments Limited. The purchase of the properties, located on the Watermark Business Park which is home to established tenants such as Tyne Tees Television and Carillion, was completed by Jones Lang LaSalle. The five office buildings extend to 18,239 sq ft and each offer quality modern self-contained offices with dedicated car parking spaces. They are let to tenants including Gateshead Council, Allied Dunbar and Riverside North East. 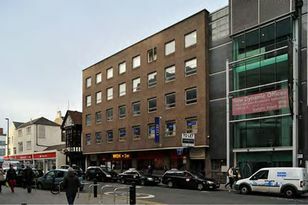 The property was acquired for £2.066m which reflects an initial yield of 11.77% and a Capital Value per sq ft of £110.00 per sq ft.
Dickon Wood, head of investment at Jones Lang LaSalle’s Newcastle office, who advised Watermark Investments, said: “The Watermark is widely regarded as the best small office scheme in the North East. “The units let up very quickly during the construction process and were built by a very reputable developer. “Prices of £230 per sq ft were achieved on this scheme back in 2005 and we are delighted to be able to acquire them now from a receiver for half this figure. Jones Lang LaSalle acted for the purchaser whilst the vendor was represented by DTZ .